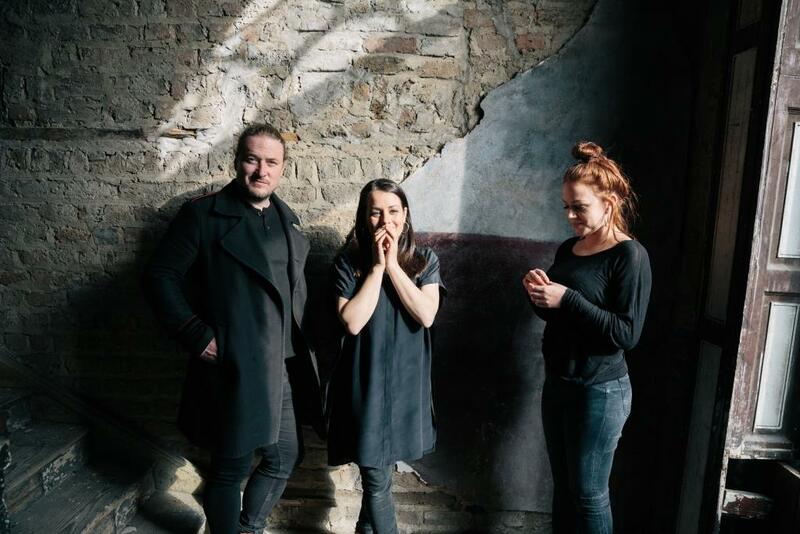 Instinctive sibling-like harmonies, captivating lyrics and subtle accompaniment mark The Whileaways‘ sound, which has been described as ‘perfected simplicity’ (Irish Echo,USA). Since forming in 2012, this trio of songwriters has released three critically acclaimed albums. In their latest album ‘From What We’re Made’, released in July 2018 The Whileaways ‘stake their claim to being among the finest singers in the country’ with an album “laden with absolutely stunning melodies and harmonies” (Edwin McFee, Hotpress). A successful 2018 ended with a performance in Vicar Street as part of the ‘RTE Folk Awards’ in which they were nominated for ‘Best Album’ and ‘Best Folk Group’. Noriana Kennedy, Noelie Mc Donnell and Nicola Joyce had each toured and recorded extensively with their separate projects before coming together as The Whileaways. Indeed, each had played gigs and festivals all over the world and over a dozen recordings to their collective credit when they began to admire each other’s singing at gigs and sessions in their home-town of Galway. When a tour of Australia presented itself in 2012, they decided to test the water as a trio. They were hailed as ‘a knockout of the festival’ at the legendary Port Fairy Folk Festival in Australia, and the success of that tour prompted the release of their critically acclaimed debut album the following year. Acknowledging this coming together of independent forces, The Irish Times in it’s four-star review at the time said : “This is an audacious debut … from musicians whose experience pays ample dividends here”. Following the path carved out by their eponymous debut, the band’s 2015 release ‘Saltwater Kisses’ gave them band their firm footing in the Irish roots music scene. These three singers are cut from the same cloth and weave a tapestry of harmonies and beautifully crafted original songs. Their sound is true and their delivery is undeniably captivating.